[D] Feint Attack: Choose 1 of your opponent’s Pokemon. This attack does 20 damage to that Pokemon. This attack’s damage isn’t affected by Weakness, Resistance, Poke-Powers, Poke-Bodies, or any other effects on that Pokemon. 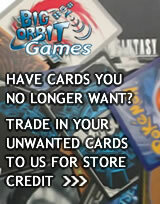 [D][C][C] Doom News: Return all Energy cards attached to Absol G to your hand. The Defending Pokemon is Knocked Out at the end of your opponent’s next turn. 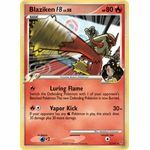 [R] Luring Flame: Switch the Defending Pokemon with 1 of your opponent’s Benched Pokemon. The new Defending Pokemon is now Burned. [R][C] Vapor Kick: 30+ damage. If your opponent has any [W] Pokemon in play, this attack does 30 damage plus 30 more damage. 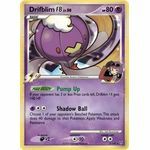 Poke-Body: Pump Up: If your opponent has 3 or less Prize cards left, Drifblim FB gets +40 HP. [P][C][C] Shadow Ball: Choose 1 of your opponent’s Benched Pokemon. This attack does 40 damage to that Pokemon. Apply Weakness and Resistance for this attack. [C] Dump and Draw: Discard up to 2 Energy cards from your hand. 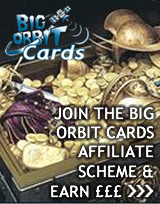 For each card you discarded, draw 2 cards. [L][C][C] Electric Current: 40 damage. 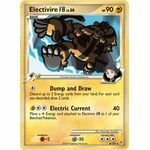 Move a [L] Energy attached to Electivire FB to 1 of your Benched Pokemon. 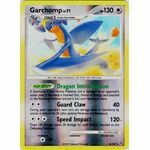 Poke-Body: Dragon Intimidation: If Garchomp is your Active Pokemon and is damaged by an opponent’s attack (even if Garchomp is Knocked Out), choose an Energy card attached to the Attacking Pokemon and put it into your opponent’s hand. [C][C] Guard Claw: 40 damage. During your opponent’s next turn, any damage done to Garchomp by attacks is reduced by 20 (after applying Weakness and Resistance). [C][C][C] Speed Impact: 120- damage. 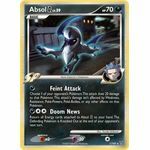 Does 120 damage minus 20 damage for each Energy attached to the Defending Pokemon. 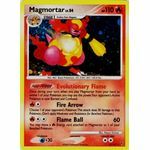 Poke-Power: Evolutionary Flame: Once during your turn, when you play Magmortar from your hand to evolve 1 of your Pokemon, you may use this power. Your opponent’s Active Pokemon is now Burned and Confused. [R][C][C] Flame Ball: 60 damage. You may move a [R] Energy card attached to Magmortar to 1 of your Benched Pokemon.